The other day, I read an article written by a Japanese blogger about an interesting project concerning kendo. 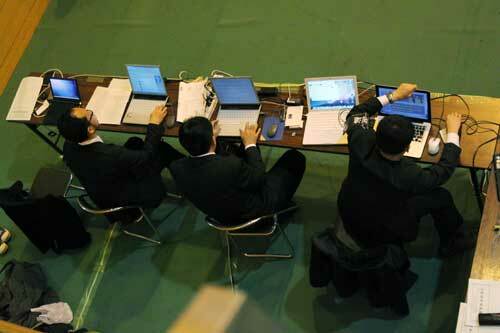 April 18, All Japan Kendo Federation broadcasted 8-Dan holder’s Invitational Tournament live on Ustream. 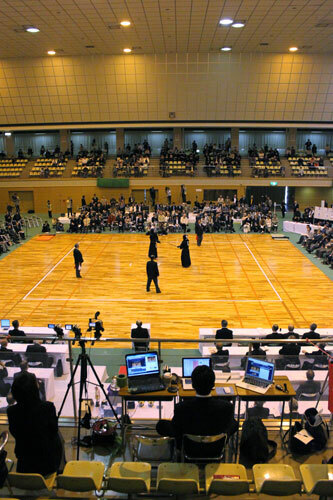 In kendo, “8-dan (8-grade)” is really hard to obtain; the examination pass rate is only 1%. And at this tournament, 32 selected 8-dan holders competed. The blogger went to the tournament to support the Ustream broadcasting. In the blog, he showed the videos of the most impressive match he saw there. They were not on Ustream but uploaded on YouTube though. The video above is a slow-motioned video shot by a high speed camera. Let’s see on a regular video. They are awesome! They both are in their fifties. Now let me talk about the Ustream broadcasting. First of all, they set a relay center at a corner of the gym, and from there, they extended an Ethernet cable to another relay point in the audience seats on the second floor, where they set three cameras. 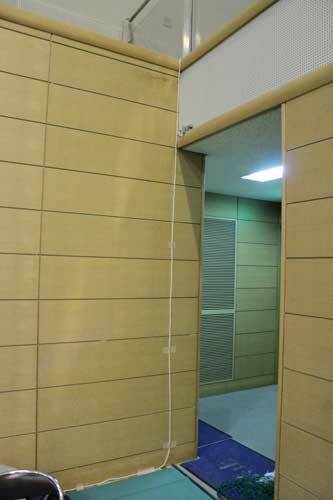 On the second floor, only one person operated. and edited the movies; they were too busy to watch the matches. The most of the viewers on Ustream were from Japan but there were some from other countries, so it can be called a live broadcast from [W:Nagoya] to the world. Amazingly, this worldwide broadcast was done by laymen; there was no technical expert in the members. The blogger said there were troubles and flustered moments while they were editing; although, any athletic federations can broadcast online their tournaments if they want to. It is not hard as it looks. Just need store bought cables, cameras and “passion”. Since Japan has the world best or second fastest internet infrastructure, by applying that opportunity, various athletic federations can broadcast and share their interesting contents. 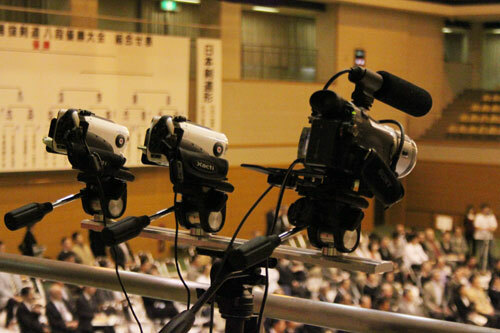 The kendo federation is supposed to broadcast more tournaments on Ustream in the future, so if I found the latest one, I will introduce it on JAPAN Style again!